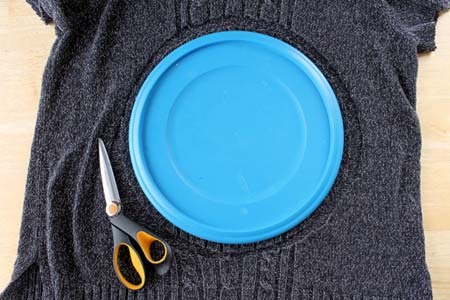 This super quick and easy project can be made in under an hour! Beth Huntington, aka The Renegade Seamstress, shows us how. Talk about a timeless fashion accessory. 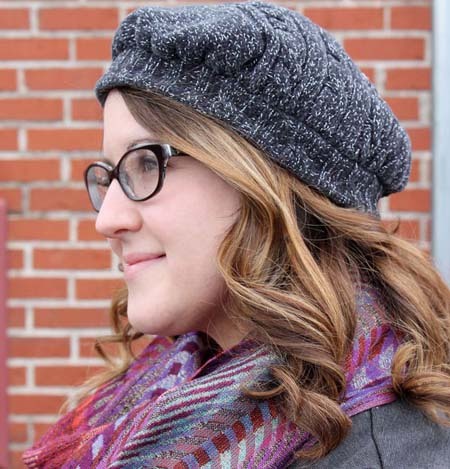 The beret has been around for many years and continues to be a staple in many wardrobes. 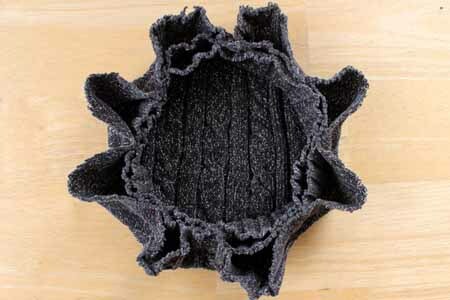 This beret is a very simple DIY project that even a beginner can make in under an hour. 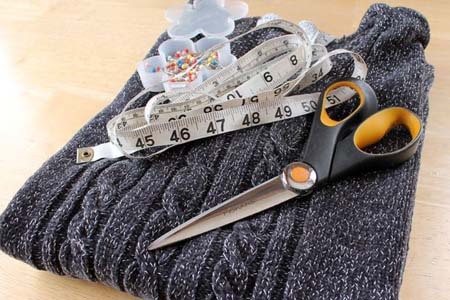 Gather up an old sweater, a pair of sharp scissors, a tape measure, and some pins. 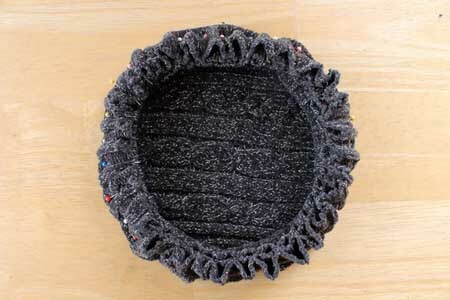 I used a plastic lid that has an 11 ½ inch (30cm) diameter for my pattern. Cut around the lid adding a ½ inch (1cm) for a seam allowance. Cut 4 inches (10cm) off the bottom of the sweater. 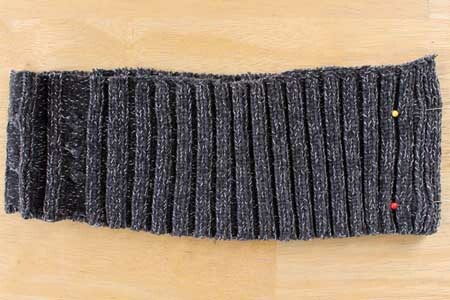 Measure around your head and cut the strip to the same length minus 2 inches (5cm). 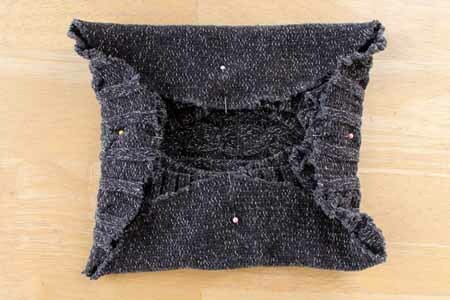 Fold the strip in half widthwise, right sides together, pin the edges and sew leaving a ½ inch (1cm) seam allowance. Now fold it in half lengthwise. 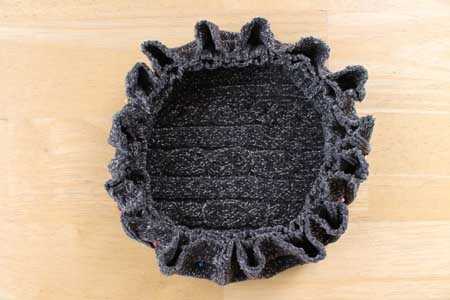 This piece will become the headband of the beret. 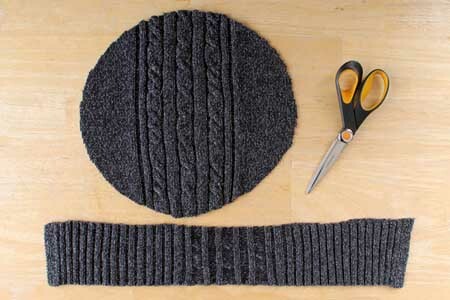 Place the headband in the centre and on top of the right side of the circle you cut from the sweater. 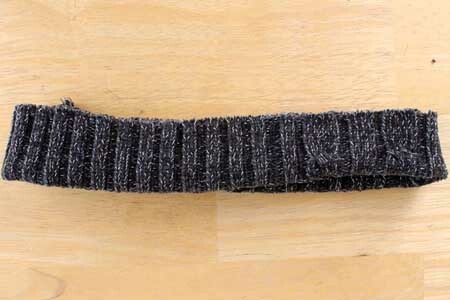 Bring up four sides of the circle and pin to the raw edges of the headband. Now find the centre between the pins and pin to the headband. Do this all around the circle piece. Find the centre between the two pins again and pin in place. Repeat this all around the circle piece. Find the centre between each set of pins and pin again all around the circle piece. This will create an even gathering around your hat. 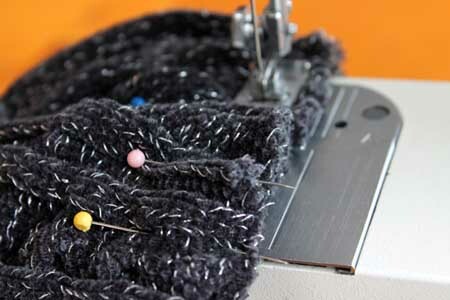 Sew a ½ inch (1cm) seam around the pinned edge. Be sure to move slowly as you sew to keep the gathers in place and to keep it from stretching too much. 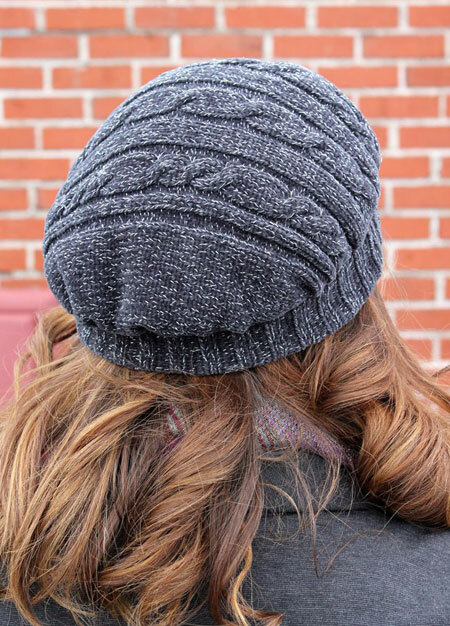 Your beret will keep you warm for the rest of the winter and bring you into spring looking great. Beth Huntington, aka The Renegade Seamstress, says refashioning and sewing is ridiculously fun. She created her blog to connect with all those crafty folk who love sewing as much as she does – and to hopefully inspire a few of them to give it a try. She has many fabulous upcycled projects on her website. Make sure you check them out. Go to The Renegade Seamstress. 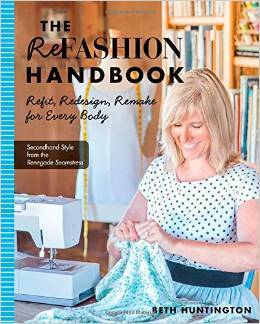 Beth has also written a book The ReFashion Handbook, which is full of wonderful tips and projects for refitting, redesigning and remaking items for every body. The book is being released at the end of September 2014. It’s definitely worth looking out for. You can get your copy here. 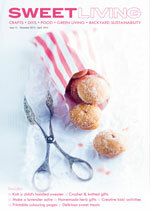 Get a sneak peak of the book here.